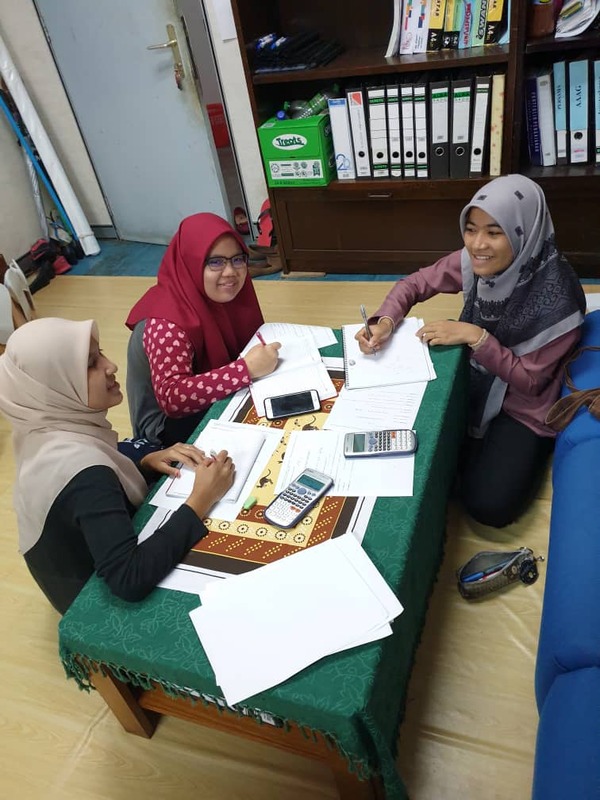 Four students from the Department of Mathematical Sciences, Faculty of Science are participating at Al-Khorezmi International Mathematical Olympiad for University Students (AKHIMO) in Uzbekistan on the 26-31 October 2018. UTM AKHIMO Olympiad delegates with the Faculty of Science Dean Prof Abdull Rahim Mohd Yusoff, trainers and AKHIMO task force committee members. 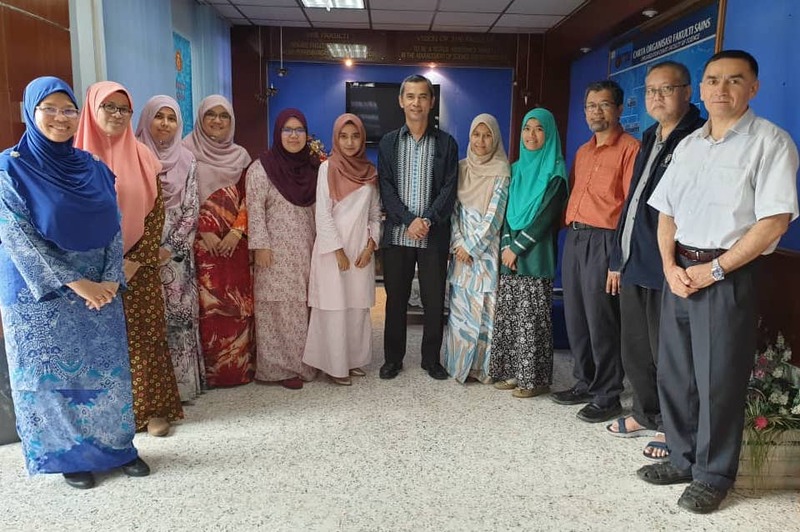 Standing from right: PM Dr. Mukhiddin Muminov, Prof. Dr. Tahir Ahmad, PM Dr. Ali Hassan Mohamed Murid, Nur Ilyana, Wan Nura’in Nabilah, Dean Prof Dr. Abdull Rahim, Siti Aisyah, Nur Syafiqah, Deputy Dean(Academic) PM Dr. Fadhilah Yusof, Dr. Sharifah Suhaila, PM Dr. Nor Muhainiah and Dr. Norhaiza. International Mathematical Olympiad is a World Championship Competition held annually in various countries around the world. This is the first international mathematical Olympiad that Uzbekistan is hosting under the name, Al-Khorezmi International Mathematical Olympiad for University Students (AKHIMO). AKHIMO 2018 is jointly organized by the National University of Uzbekistan and Urgench State University (the host) and will take place in Khorezm. The one-day competition for undergraduate students focuses on five problems of Algebra, Analysis, Number Theory, Geometry and Combinatorics. UTM delegation is headed by Assoc. Professor Dr. Ali Hassan Mohamed Murid together with four final year B.Sc. Mathematics (SSCE) students. They are Nur Ilyana Kamis, Nur Syafiqah Jasla, Wan Nura’in Nabilah Noranuar and Siti Aisyah Syahirah Sharulizam. 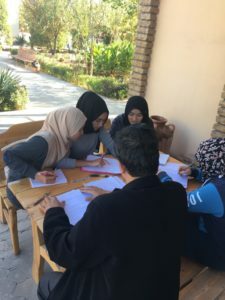 The students are selected based on their excellent academic performance and their past experience competing at other international mathematical Olympiads. In preparation for AKHIMO 2018, the students underwent a series of training under the tutelage of Prof. Dr. Tahir Ahmad, Assoc. Prof. Dr. Ali Hassan Mohamed Murid, Assoc. Prof. Dr. Mukhiddin Muminov and Assoc. Prof. Dr. Nor Muhainiah Mohd Ali. The competition is scheduled on Monday 29th October 2018. In the meantime students continue their training at their hotel in Uzbekistan. AKHIMO 2018 is financially sponsored by the government of Uzbekistan. Accommodation, meals, excursions and flight tickets are generously sponsored by the organizing committee. 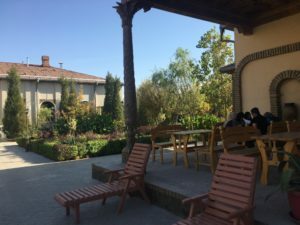 UTM team is supported by Uzbekistan State World Language University (USWLU). UTM Mathematics Olympian will be competing against 56 other universities in the competition including Russia, Uzbekistan and China. We wish them all the best! 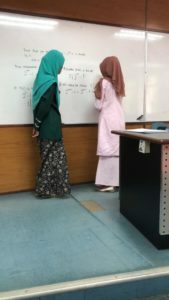 Venue: Mathematics Computer Lab 2, C22-Level 3, Faculty of Science.